Can you spot the big upgrade? 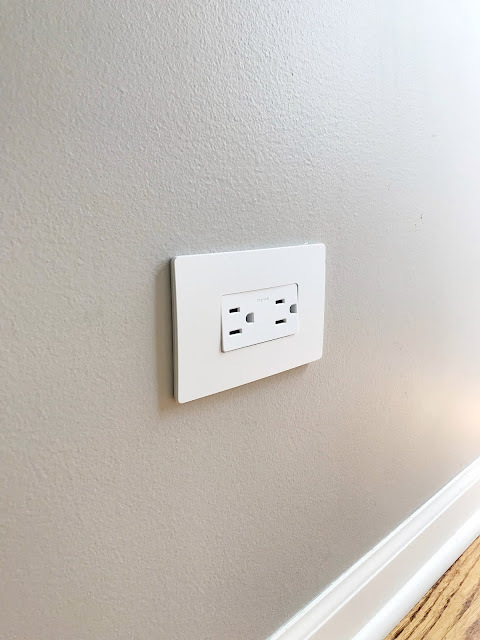 If you guessed my brand new electrical outlets by Legrand then you guessed correctly! Yup. That's right... R&R is getting techy today! I know I'm not the only one who has the nightmare nightstand where allllll chords seem to collect. My situation got so bad that I literally had to unplug my lamp every night in order to plug in my phone (face palm). Enter Legrand. Who knew such a simply update could make such a big impact! 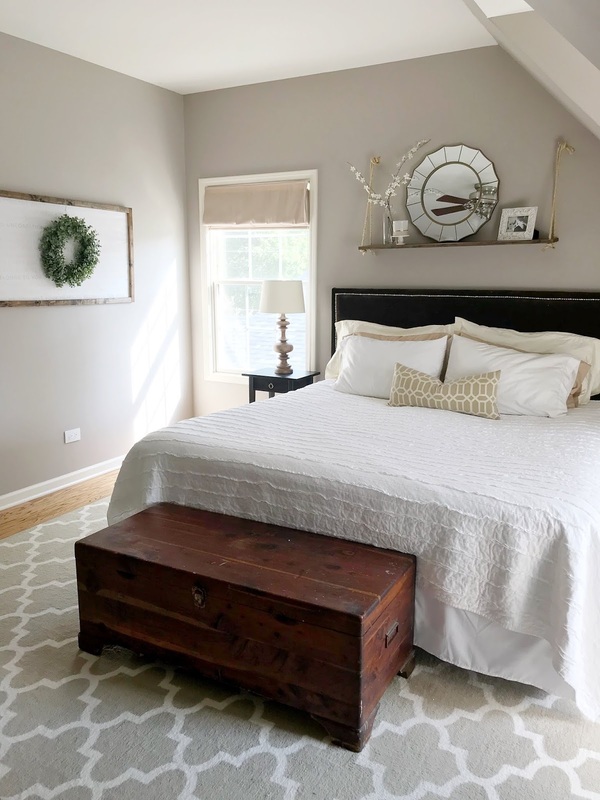 My side of the bed isn't the only outlet that got an upgrade... let's talk night lights! I think I was most excited about switching out our plain outlet for this one that includes a nightlight! How convenient! Best part- it stays off all day until it gets dark enough to need it! You can choose three setting by simply clicking the light or you can select off. You can also choose a cool feature that lets you shine the light in a specific direction. So easy to change the light settings! I love that the light automatically turns on when it gets dark out! Another awesome feature of these outlets is that the faceplate does not require any screws! Once installed you simply click the faceplate in place! Installing is as easy as turning off your power, unscrewing and screwing a few things in and voila! This update was done in less than an hour! 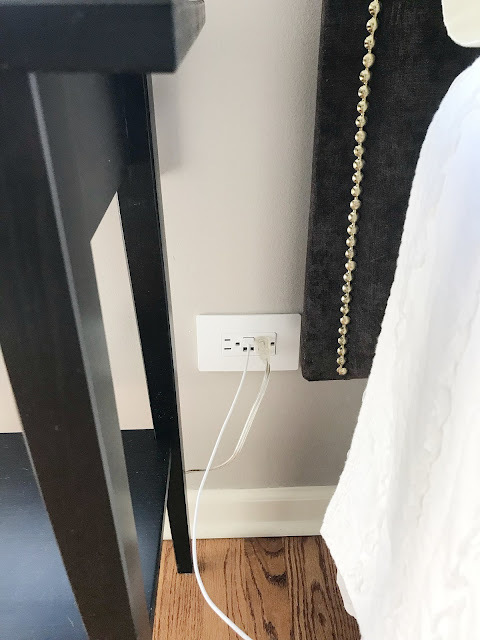 Who knew updating outlets could be so fun?! 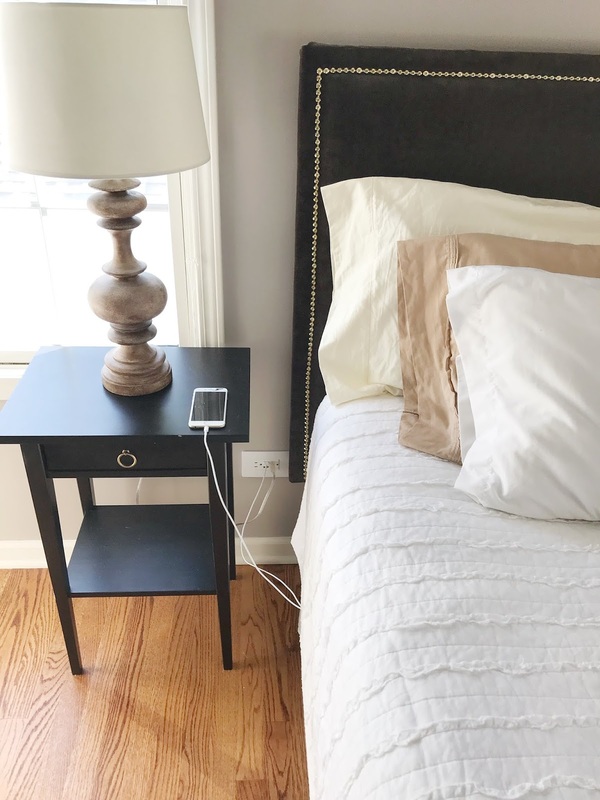 Legrand offers several different products in the radiant collection ranging from simple outlets to dimmer switches to wireless charging stations. 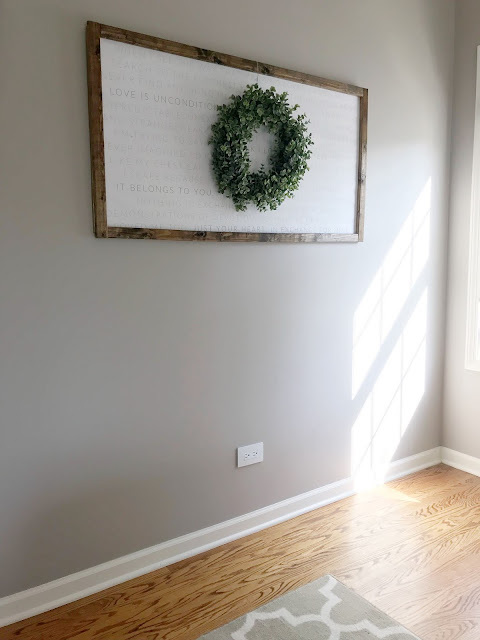 Everything you need to update every outlet in your home! 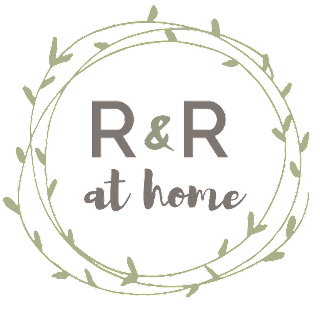 Definitely go check them out! 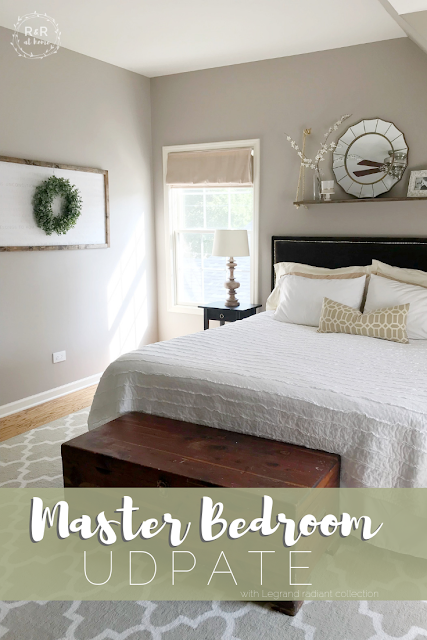 Great electrical fittings, and love your master bedroom decor!